The Greatest Showman may have some awesome music and set pieces, but when it gets down to the thick of it, P.T. Barnum’s personal history is largely ignored. For the second time in as many months, a film or documentary is released following an episode of DC’s Legends of Tomorrow on the CW that features the person in question. Suffice it to say, the comic book series addressed Barnum’s past in a way that the film largely ignores. It’s telling that Australian filmmaker Michael Gracey’s feature directorial debut chooses to ignore Barnum’s past as a slave owner. Even though Barnum may have reformed as a person, there’s a lot about his past that the film ignores. It’s not only that Barnum’s own past gets ignored but how much of history is changed for dramatic effect. 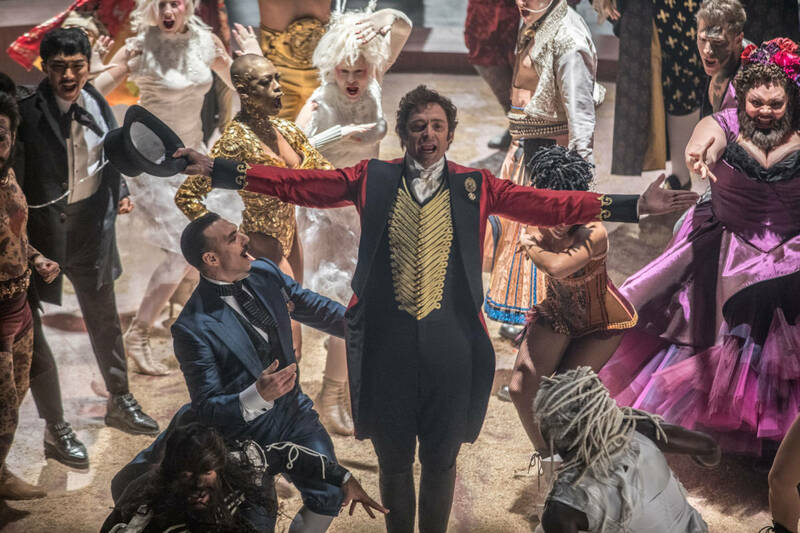 While things did happen in real life, Jenny Bicks and Bill Condon’s screenplay for The Greatest Showman has chosen to not address the historical events as they happened. This is one of the downsides of a musical biopic. Is P.T. Barnum’s story best told as a biopic? Probably not. There’s so much that can be told and yet despite all of his successes at the the birth of advertising, Barnum has his own faults and those simply can’t be ignored. How the Oddities are depicted are vital to the film. If Gracey had taken the wrong approach, it could have very well killed any chance of the film succeeding. The Greatest Showman celebrates them as the way one celebrates humanity but at the same time, they still get treated like freaks to an extent. As great as Benji Pasek and Justin Paul’s musical contributions are, it’s hard to enjoy the film in the same way knowing what the filmmakers have chosen to ignore about Barnum’s past. The songwriting duo is one of the best teams around and their songs are brought to life by a dynamic cast and it’s a soundtrack full of pop tunes that are complemented by the large set pieces. Taking a look at the casting, Hugh Jackman is a fantastic singer but the film fails Barnum in that the X-Men star doesn’t even appear to look like he’s 60 years old as the film comes to a conclusion. The actor is a decade younger. The special effects team, much less hair and makeup stylists, do not even bother to de-age or age Jackman other cast members appropriately. The showman had founded Barnum’s American Museum in 1841 when he was 31 years old and the film ends when Barnum is 60. This is a thirty year stretch — way too long of a time period to be condensed down to 105 minutes. While actress Rebecca Ferguson portrays the Swedish Nightingale, Jenny Lind, on the screen, audiences won’t even get to listen to her singing voice as Loren Allred does all the singing. The lip-syncing is fair, but musicals such as these would be doing a better service if they sung live while filming. Unlike Barnum, Lind is aware of her own privilege. Michelle Williams co-stars as Barnum’s wife, Charity. Discussing the storyline revolving around producer Phillip Carlyle (Zac Efron) and trapeze artist Anne Wheeler (Zendaya) is one that requires more thought, but both actors display chemistry that doesn’t feel forced. Their characters also suffer from the lack of aging during a thirty-year time period. The film starts to become a question of how does one celebrate a man knowing that the bad things from his past have been largely forgotten to history? It’s something that’s coming up time and time again with the #MeToo movement as more stories come out. Where do you separate the art from the artist? Twentieth Century Fox opens The Greatest Showman on December 20, 2017.